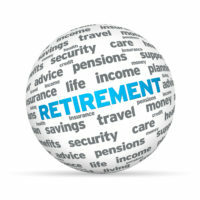 Retirement distribution planning is not what it used to be. People are living longer, cost of living expenses are on the rise, and healthcare costs are easily outpacing wage increases and the market. Now, more than ever, creating and sticking to a thorough retirement savings plan is necessary to ensure that your latter years and legacy are what you intend them to be. The majority of people save for retirement without a consistent written plan. This unfocused technique toward saving can lead to increased anxiety, unmet expectations, and unfortunate surprises down the road. The simple act of putting a plan down in writing helps to define your financial goals and lay a path that includes benchmarks toward success. But we would argue that beyond just having a plan for savings, those retirees that manage their assets with distribution planning in mind will be best prepared for the retirement they imagine. Putting money in will only get you half way. It’s how and when you take the money out that can make or break your later years. 1. Guaranteed sources of income: guaranteed income sources such as pensions, and Social Security checks are the first line of spending. 2. Taxable accounts: checking, savings, and taxable brokerage accounts are often next in line for distribution strategies. This allows tax-deferred assets to continue to grow. Interest and dividends are taxed at regular income and capital gains rates when these investments are sold. 3. Tax-deferred accounts: such as IRAs, 401Ks, 403Bs, and 457 accounts provide a tax deduction when funded, but are fully taxed at distribution. These distributions are taxed at ordinary income rates and failing to take RMDs can result in a significant IRS penalty. 4. Tax-free accounts: Roth IRAs, are initially funded with after tax money but grow tax free. By spending these assets last, you can maximize tax benefits by allowing them to grow. Further, there is no obligation to remove funds, even after age 70½ – making them great assets to pass to the next generation. Techniques to manage and minimize capital gains taxes, bolster retirement income, and best tackle medical expenses all play an important role in full oversight of retirement finances. A comprehensive overview of retirement will include all of these factors, balanced with changing legal parameters and structuring your legacy. We recommend sitting down with Sapers & Wallack financial planning group to create a detailed written plan that lays a proactive approach to meet your needs and expectations. Establishing and balancing your risk tolerance, and covering all aspects of your retirement can be daunting, but we can help retirees to stay on track by separating expenses into ‘Needs, Wants, Wish list’ categories, fostering family communication, and providing awareness to reduce stress. At the end of the day, financial empowerment of our clients is key, and a thorough grasp of their financial capabilities is our directive.